CV template to download "Bright"
The Bright Resume has a simple and effective design that is sure to impress your future employer! 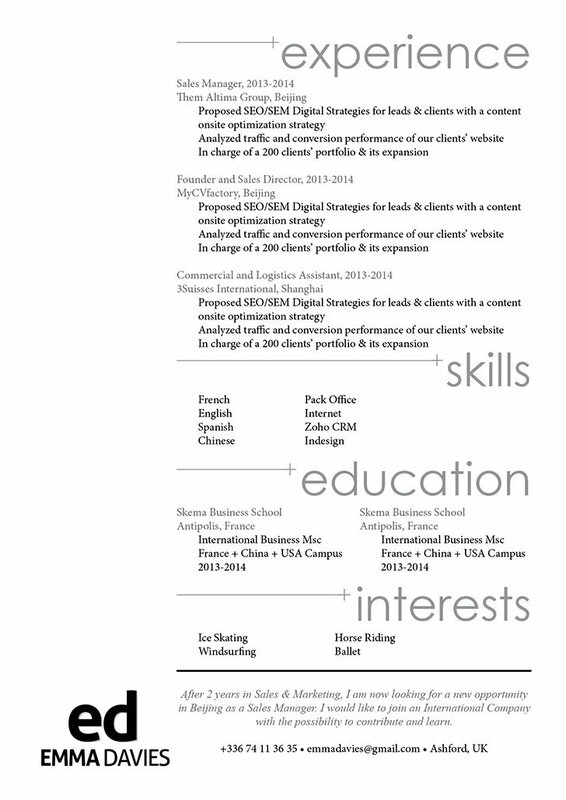 This resume sample possesses a clear and well-structured format that perfectly presents all your qualifications. Applicants with a solid set of skills and professional experience will greatly benefit from this template as the use of headlines perfectly highlight all the sections of your resume. This is one resume that has a simple and functional design that is applicable to all job types and is sure to help you land that dream job! 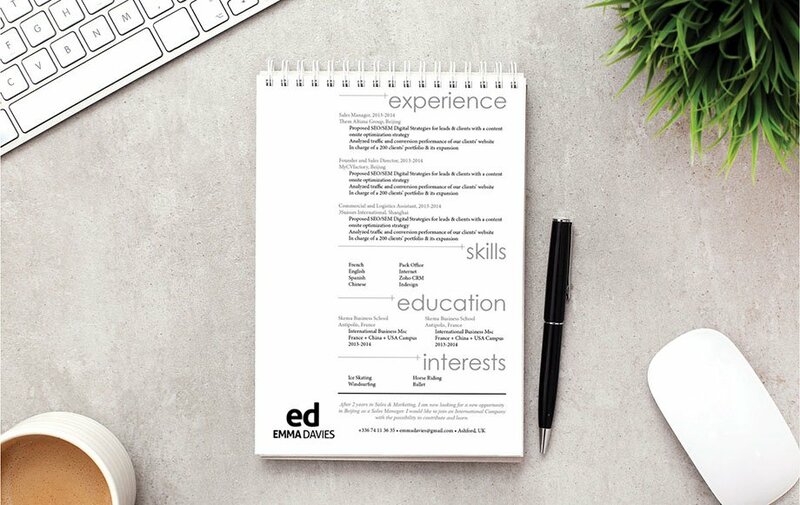 One way to make a more effective resume design is by making all the contents in your CV clear and straightforward! Use simple text in one modern, standard font that is easy to read such as Seriff or Sans Seriff fonts. As everything in your resume is about your experiences, avoid writing in first or third person. For example, instead of writing "I managed a team of four," or "Jack managed a team of four" rather write "responsible for managing a team of four" in concise bullet points below headlines where necessary. Of course, make sure you also run a spell check to pick up any errors--a big mistake that is easy to avoid!